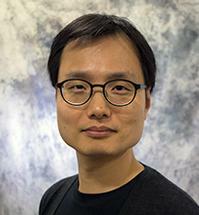 Jay (JungKyoon) Yoon is an assistant professor in the Department of Design + Environmental Analysis at Cornell University where he leads Meta Design & Technology Lab. Yoon investigates how products can be systematically designed to enrich users’ momentary as well as long-term experiences by means of emotions, building on knowledge and methods from user-centered design, positive psychology, and persuasive technology. His recent research focused on designing for affective experiences and subjective well-being with an emphasis on increasing designers’ emotional intelligence. The research findings have been applied to and iteratively improved through several industry projects that covered multiple design contexts and business domains, e.g., a smart home service, an airport crew-center, a museum tour and a brand loyalty program. Yoon has an educational background in industrial design and computer science (BA and BE from Handong University, South Korea). He previously worked as an interaction designer at Naver Corporation where he supported the development of an Internet search service, social media, and product simulations. Prior to joining Cornell, he taught in Industrial Design division at the University of Liverpool, the United Kingdom as a lecturer. He earned his M.Sc. degree from the program “Design for Interaction” at the faculty of Industrial Design Engineering of Delft University of Technology, the Netherlands, and at the same university, he received his Ph.D. degree with a focus on emotion-driven design. His research interest lies in developing an understanding of how design and technology can contribute to facilitating positive experiences and how those effects could be prolonged. Yoon has developed design methods and tools, mainly concerning (1) how people involved in product development could enhance their understanding of nuanced user emotions, (2) how designers could explicitly communicate their design intentions in terms of emotional impact on users’ experiences, and (3) how a product could be designed to elicit intended distinct emotions. I have collated design and research publications and uploaded them onto the Research Gate. Most of the publications are downloadable. Yoon, J., Pohlmeyer, A. E., & Desmet, P. M. A. (2017). EmotionPrism: A design tool that communicates 25 pleasurable human-product interactions. Journal of Design Research, 15(3/4). Yoon, J., Pohlmeyer, A. E., & Desmet, P. M. A. (2016). When “feeling good” is not good enough: Seven key opportunities for emotional granularity in product development. International Journal of Design, 10(3), 1–15. Desmet, P. M. A., Fokkinga, S. F., Ozkaramanli, D., & Yoon, J. (2016). Emotion-Driven Product Design. In: H.L. Meiselman (Ed. ), Emotion Measurement (pp. 405-426). Amsterdam: Elsevier. Yoon, J., Desmet, P. M. A., & van der Helm, A. (2012). Design for interest: Exploratory study on a distinct positive emotion in human-product interaction. International Journal of Design, 6(2), 67–80.